Ever dreamed about owning a cabin in the woods? 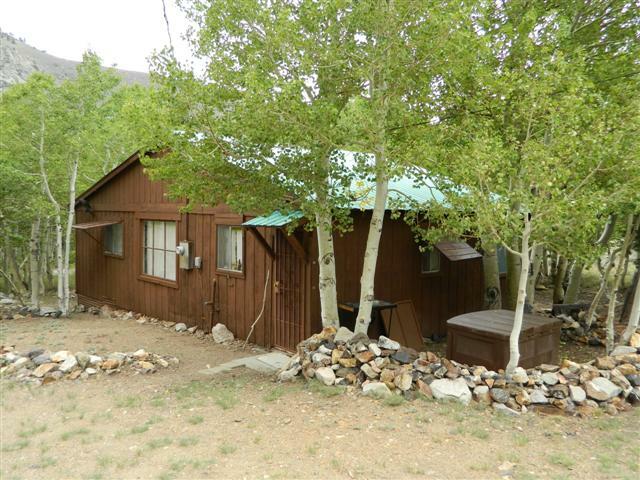 This 3 bedroom, 1 bath cabin is on USFS land in the beautiful mountain community of Aspendell! Surrounded by Aspen trees, across the street from great fishing you'll enjoy great views of the surrounding mountains. Fish cleaning sink included! Electricity, on its own well, on sewer, phone and internet service available - so you can "rough it" in style! Furniture will remain. Buyer must talk with USFS representative Trudy Garza to transfer permit. Aspendell is located approximately 17 miles west of Bishop on Highway 168. The elevation is a bit above 8,000 feet. There are stunning mountain vistas and pristine lakes. Bishop Creek flows through the community. Fishing, hiking, camping, backpacking, rock climbing and cross country skiing are a few of the recreational activities popular in the immediate vicinity. The community gets its name from the abundance of aspen trees. Fall color watching is a popular pastime each autumn. A number of full time residents call Aspendell home as well as a number of part time residents. The community is served by a United States Forest Service sewer system and a community water system. Homes in the neighborhood are often referred to as cabins. Sizes of these cabins range from less than 1,000 square feet to over 5,000 square feet.